Paris is a Stylish and Modern OnePage Theme with a Responsive Layout. It is Ideal for corporate business, creatives, designers, artists, photographers, portfolio etc. Paris comes unlimited layouts options, with 10 Prepared styles, awesome Portfolio, Isotope Blog and much more! Dummy Content – Paris comes with easy One Click Demo installer for a quick and easy setup. Within 10min. your site is ready! 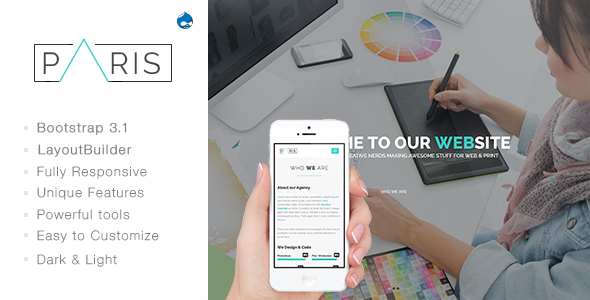 Item Reviewed: PARIS Responsive OnePage Drupal 7 Theme 9 out of 10 based on 10 ratings. 9 user reviews.